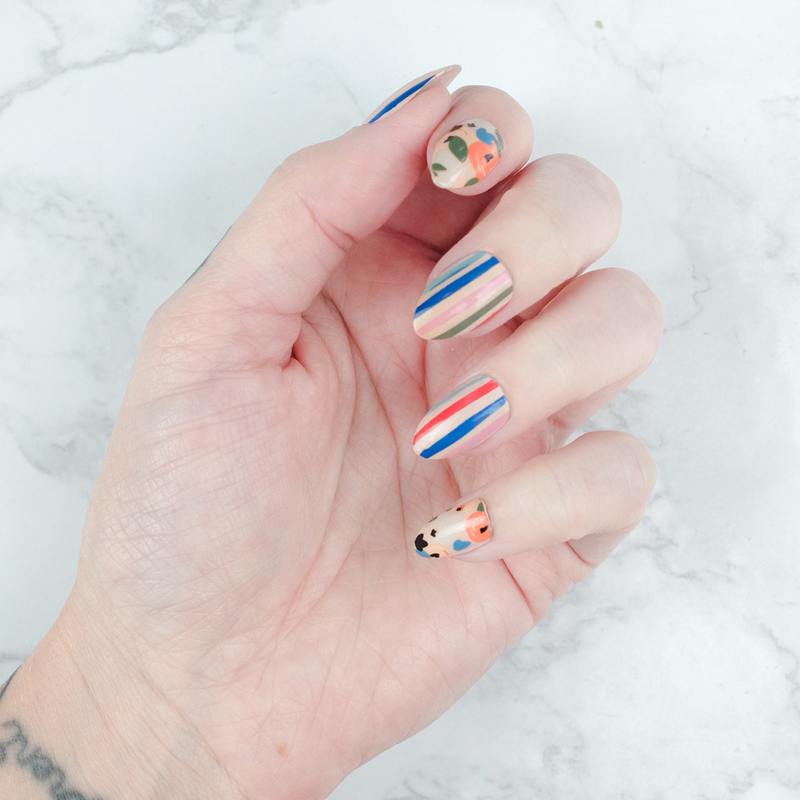 I'm slowwwwwly getting caught up on these old nails posts! 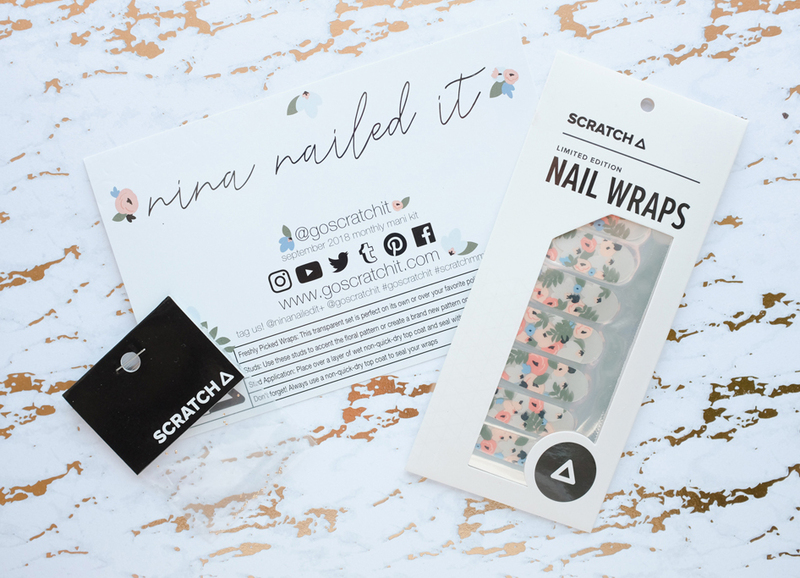 The September Scratch set was one of my recent favorites with its colorful florals and versatility. 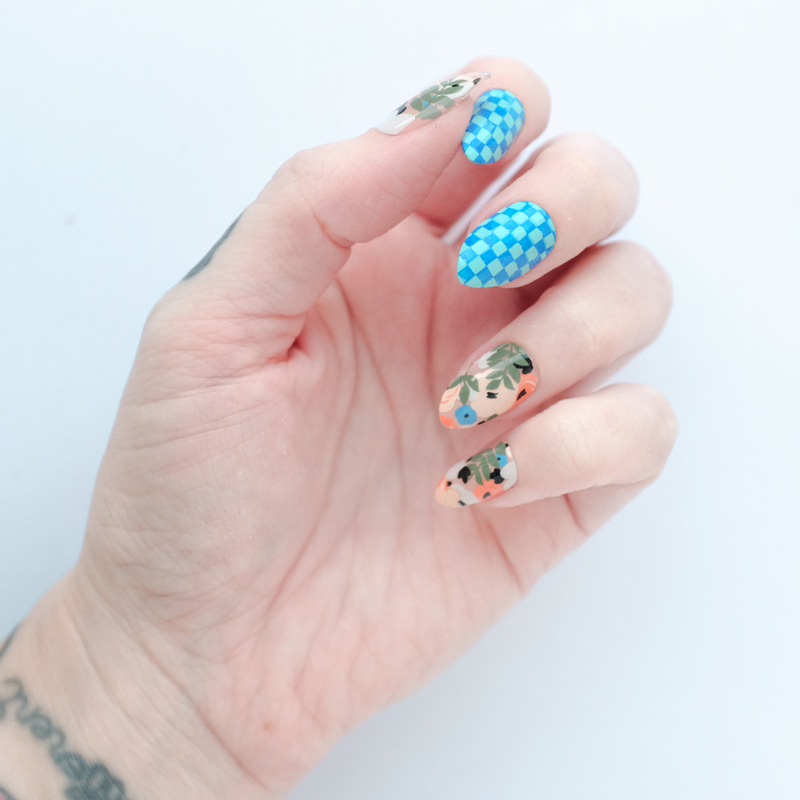 During the late summer, I went through a checkered nail phase and it pulled over into my September manicure. 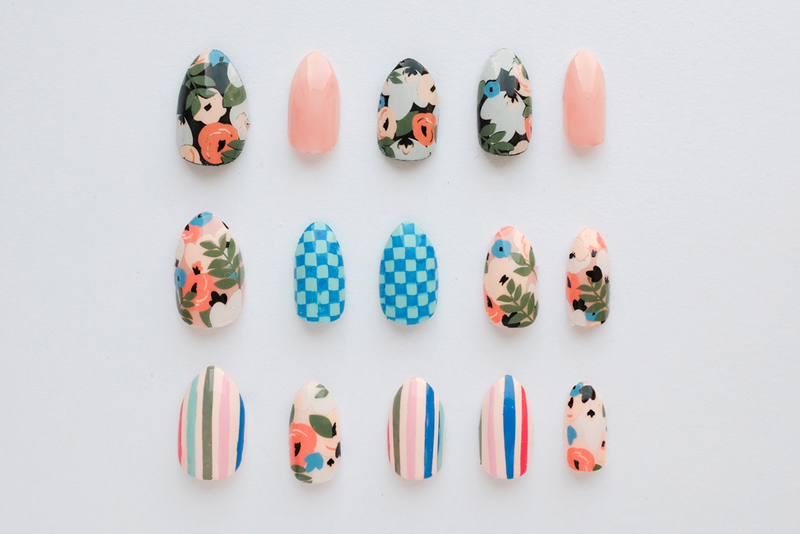 Click through to see the planning process and the sets! 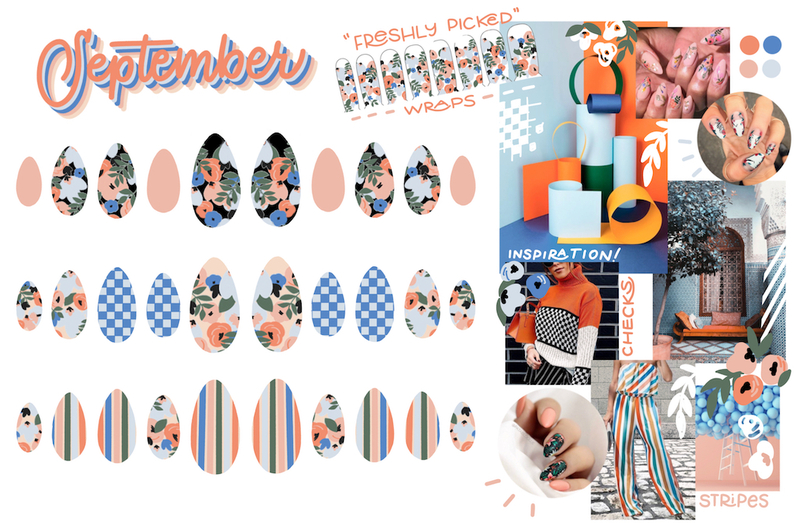 I drew inspiration from the softer peaches and pastels in the flowers — I love a good late summer orange and blue combo! Which set is your favorite?